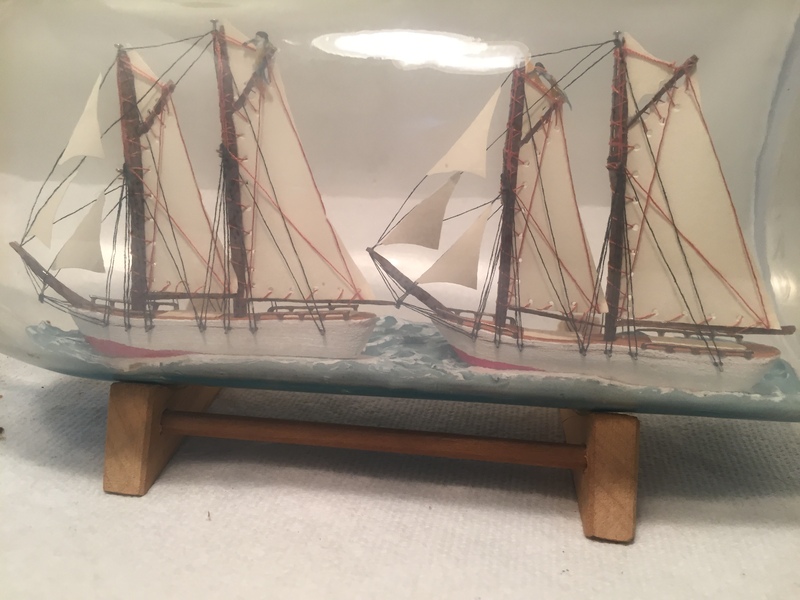 You will not see many of these, but here is a great one ! 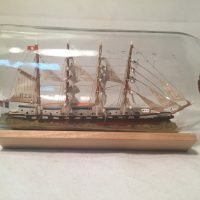 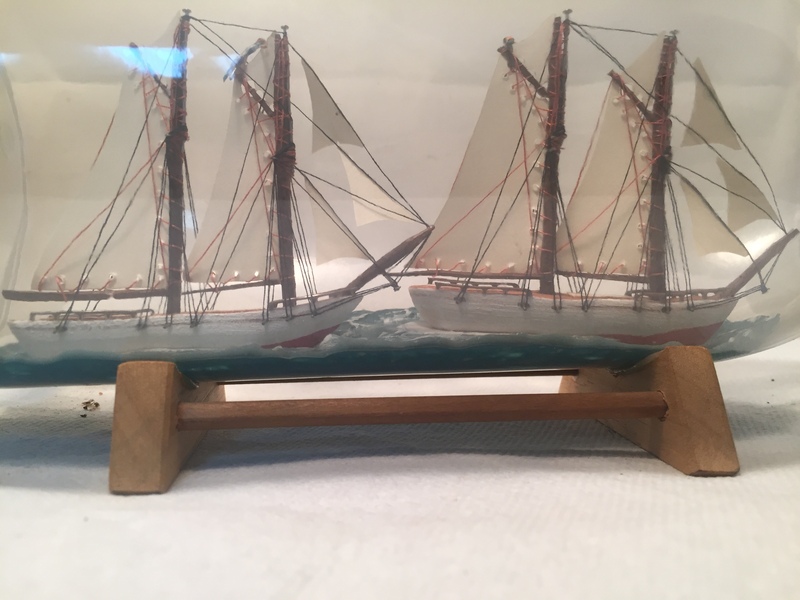 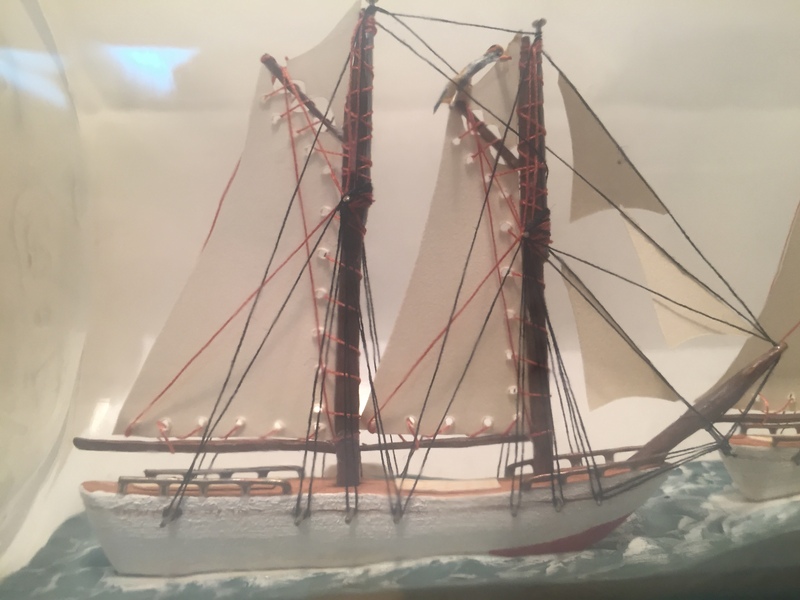 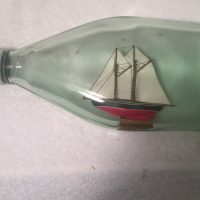 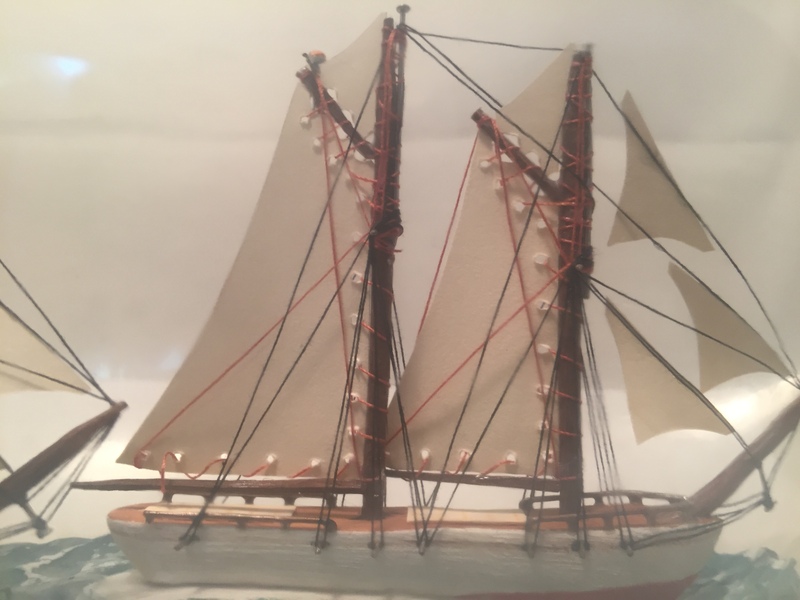 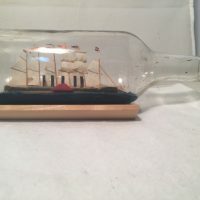 2 hand carved ketches sailboats in a bottle on a baby blue sea, very tight rigging and please notice the sails, complete with lines and eyelets on the sails itself. 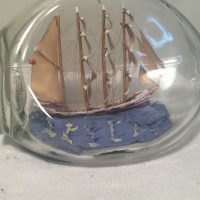 THAT’S DETAIL ! 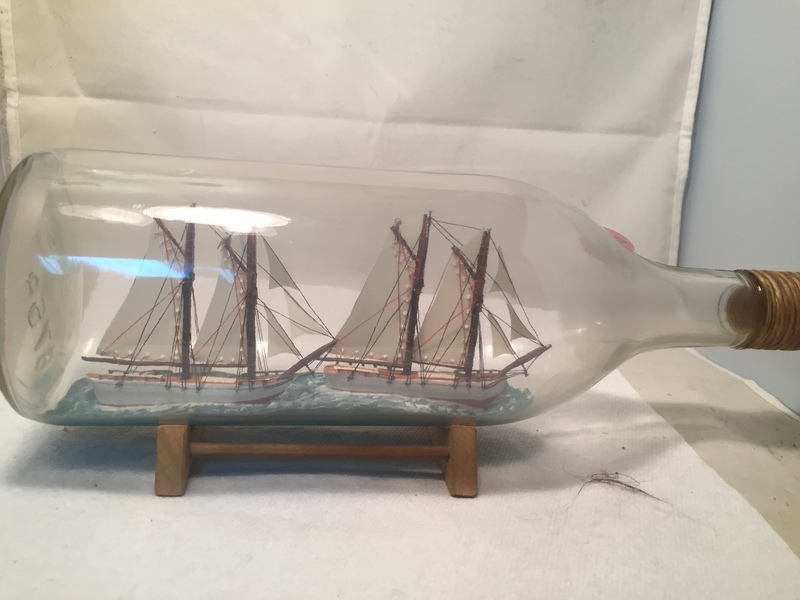 They are nesting in a 12 inch bottle with stand. 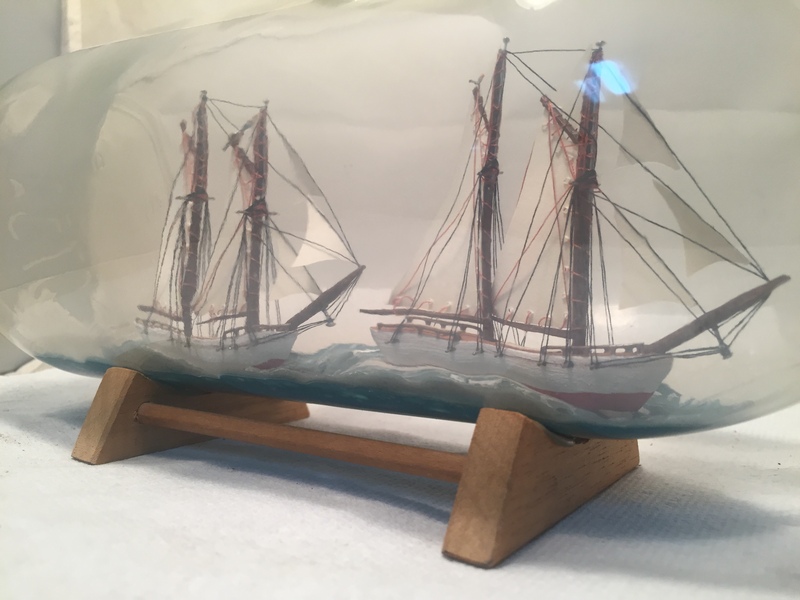 The neck cap is wrapped in line and just looks great !